Are you in the market for a piano with effective and intuitive interface? Or maybe a piano that is fairly lightweight, and can easily be moved from location to location? Well, if you’re willing to spend money on quality craftsmanship, I strongly recommend you consider the Yamaha CP4 Stage Piano. 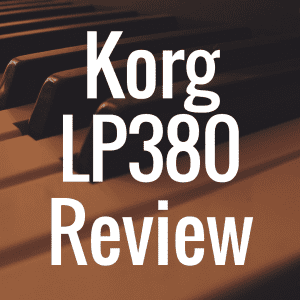 Below, see how the affordable Yamaha CP4 stacks up against some of its peers in categories like weight, price, and customer reviews, which hopefully makes it easier for you to making a purchasing decision when the time is right. This instrument is designed for a different purpose than some of the other digital pianos we’ve looked at in this series. It’s not, for example, a piece of furniture or a teaching tool. But that doesn’t mean it’s not packed with options. This is most definitely a working man’s (or woman’s) keyboard and is equally suited for your home and the performance venue. It does not come with a stand, however, so you’ll have to provide your own. It is extremely advantageous that Yamaha has such a rich history of providing world-class-sounding pianos and keyboards for our enjoyment. The sounds you will get on the CP4 are unparalleled anywhere, except perhaps on the actual instruments they’re modeled after. On many of the sounds, you get multiple variations, each one with different effects applied. In addition to the typical acoustic and electric piano sounds, the CP4 also has 321 additional built-in sounds based on the industry-leading MOTIF synthesizer, including bass, clavinet, organ, strings, pad, and drums. 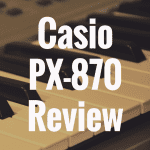 DX7 electric piano, whose sound is unmistakable. If you grew up in the 80s like me, you know exactly what I’m talking about. Just as an aside, the electric grand piano is named as such because it still uses hammers and strings, like an acoustic. What makes it electrified is the use of pickups, like on an electric guitar. An electric piano’s hammers strike either flat steel reeds, like on the Wurlitzer, or tines of stiff steel wire, like on the Rhodes. You can hear some great examples of the CP4’s acoustic and electric piano sounds here. The electric piano sounds mentioned above were achieved using a technology Yamaha developed which they call Virtual Circuitry Modeling (VCM). What this endeavors to do is provide for an as-realistic-as-possible digital reproduction of components used in traditional electrical circuits, such as resistors and capacitors. In this way, the VCM technology behaves like its analog counterpart and this results in a musical simulation of analog sound qualities. The control panel has been designed for much ease of use. There is a Voice Category function where you can call up the sounds you want faster than scrolling through them all, and you can store your favorite ones in each category. You can also layer sounds and split the keyboard with the touch of a button. As mentioned above, you also get an onboard 5-band EQ (via sliders), a backlit LCD display, and a scroll wheel for easy navigation. The CP4 features a natural wood keyboard with keytops made to look like ivory, though they are not textured. Like many instruments of this type, the action is what Yamaha calls “graded hammer” action, meaning the keys in the lower register are heavier and as you go up the keyboard in pitch the keys themselves get lighter. 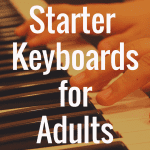 This allows you to, for instance, play the same note repeatedly with perfect articulation, and the sounds blend as they would on an acoustic grand, without the use of the sustain pedal. I thought it would be important to include the Yamaha CP40 in this section because it’s the CP4’s little brother. The CP40 includes the only CF grand piano sound. It does have all the other electric piano and other sounds as the CP4, including the drums, just not as many variations of them. It also has plastic keys, as opposed to the wooden ones on the CP4. The CP40 has a 3 band EQ, and does not feature XLR outputs in the back. It does come with the FC3 pedal, however, which is good. And it does cost a few hundred dollars less than its big brother, so that may be a good way to go for a quality instrument with a few less bells and whistles. 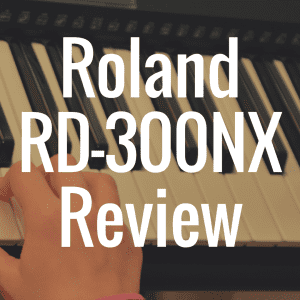 The Roland RD800 might be the stiffest competitor to the CP4. Featuring Roland’s SuperNATURAL Piano sounds, this keyboard includes 5 different acoustic sounds, including an upright, 5 types of vintage electric piano sounds, and more than 1100 other sounds, such as tone wheel organs, modern synth sounds, strings, brass, and so on. The action is Roland’s Progressive Hammer Action with escapement and the keys feel like real ebony and ivory. You also get a nicely laid out control panel, with plenty of knobs for real-time sound morphing to your heart’s delight. The Kurzweil Artis makes for a rather interesting comparison. At first glance, it looks very similar to the CP4. I don’t know about you, but when I think of Kurzweil, I think of “piano” because back in the day the Kurzweil digital piano was the industry standard. This Artis stage piano features 32 variations of a 9-foot German grand; Hammond, Vox, and Farfisa organ sounds; 256 factory programs of electric piano, clavinet, synth, strings, and so on; 256 factory multi (layered) sounds; plenty of effects; and 3 band EQ and 17 more onboard sliders, switches, and wheels. The Artis also costs about the same as the Yamaha, so a side-by-side, A-B comparison would almost be a requirement here. And although discontinued, I wanted to mention the Nord NP88 as another comparable instrument to the CP4. You can still purchase these; though they do cost more than the CP4s. One reason for this could possibly be that with the NP88, you get a DVD with all of the piano sounds in their piano library and you can completely replace the piano sounds inside the keyboard by connecting it to your computer via USB and downloading the sounds into it straight from the DVD. Now, I don’t care who you are, that’s pretty cool. That, and the fact that the Nord keyboards are red. Talk about standing out from the crowd. You can also read our review of the Nord Stage 2 HA76, as well. I’d also like to quickly add here that if you are in need of the official CP4 manual, you can download it here. This will be especially helpful to those that are particularly interested in not only how the piano works and all the features it comes with, but details on the CP4’s warranty, as well. In regards to the CP4, rest assured that purchase of this piano comes with a limited three year warranty. So, as usual, you may be asking: Now what? The CP4 hasn’t been out that long, so the jury’s still out to a certain degree as to how much your average Joe and Jolene will like it. There are a few users out there, though, who have been kind enough to share their experiences with it thus far. The biggest plus points are the realism of the sounds, and the responsiveness and quality of the action. Unlike some of the other instruments we’ve studied in this series, the CP4 does not come with built-in speakers. This is definitely something you need to consider, as you will have to shell out a few more hundred dollars for a decent amp. But if you can deal with that drawback, and one or two others that inevitably rear their ugly head with most purchases, this is one piano you can be proud that you own. 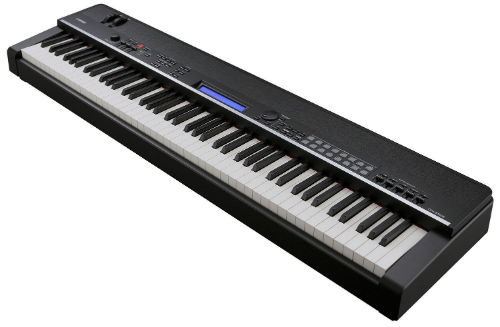 The Yamaha CP4 is available for purchase on Amazon.com. 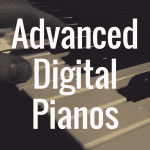 For more great information on digital piano reviews, you can visit our website (and please bookmark it) for analysis, news, and much more! 1) What’s the Best Digital Stage Piano? 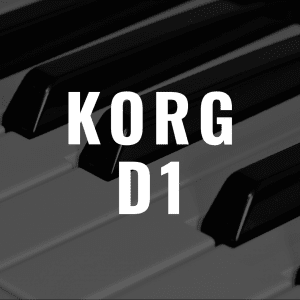 2) What’s the Best Sounding Digital Piano? 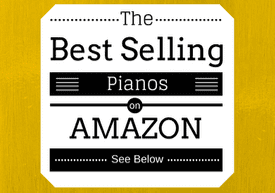 3) What’s the Best Digital Piano Under $2000? 4) What’s the Best Yamaha Digital Piano?